This is also known as data driven marketing that uses digital channels like search engines, display advertising, mobile apps, social media and as well as other digital medium. SEO is a complex digital marketing factor. Furthermore, we must consider every nook from website development, content strategy, user experience, analytics and conversion optimisation. All of this is successfully delivered to your target market if you choose Aleph IT’s Digital Marketing East Perth services. Aleph IT SEO services are created to help your brand awareness and visibility in SERPs. With this in mind, we aim to propel your website gain in organic traffic and target the white hat technique. Hence, we do this by presenting to you a complete package of SEO services and management. Furthermore helping your business online to be successful and boost its sales and web traffic. We offer SEO services for all types of businesses in East Perth. In fact, our SEO experts are Google Certified and have a depth understanding and experience in SEO meaning. They can also provide content that are relevant and easy to grasp by your target audience. Altogether, our SEO service is tailored to match your budgets. Why choose Aleph IT as your SEO service company? Our SEO specialists provide consultation base on your business market and also find how to compete with your online competitors. We work in accordance of Google practices and we are particular with the Google Algorithms. Above all, we give a high importance of all SEO factors, from links, images, keywords, to page as well as content development. Our SEO experts and specialists are honest and dedicated for the success of your website in online world. We understand the importance of ROI and we are determined to deliver this to you. We offer you a Paid search campaigns to boost your traffic with high quality ads and campaigns. PPC helps your website refresh and increase your ROI. However, there are companies who handle their own AdWords with no proper experience and right knowledge. Thus, resulting to decrease profit and waste of budget for it leads to unrelated searches or even irrelevant page matches. Aleph IT is expert in consultancy if you want to handle your own PPC. If you wish to produce consistent and profitable results it is better to leave everything to us. In this case, we guarantee to offer you a cost- effective Adwords or Bing management that always giving a return of good ROI. Pay-per-click (PPC) is an advertising offered by Google to get more visibility, only that you must pay for each click for a particular keyphrase. In paid ad, you can receive a short message across the web user. From that you should showcase your website by telling them about it, about your products, and why they should click to your website. Again, it’s just another productive way to showcase your website to your target audience. Why choose Aleph IT as your PPC service company? We abide to Google’s qualifications. Results Driven – With over 20 years in the industry we have nothing to deliver to you but an excellent result that even exceed your expectations. Our PPC experts are Google AdWords certified. Deliver updated reports to know the impact of your current paid search advertising. Our PPC team is dedicated and honest to deliver you an end-state result. Social media is one of the best way to increase your audience and help you settle tough user experience by getting updates in responding to their queries and complaints. In the same way, by creating Social Media accounts it help customers to understand more about your products and services. And as a matter of fact, communication will feel more closer unlike having automated responses. In addition, being proactive on social medias allows you to accentuate a wider audience. Moreover, with these you are also inviting them to visit your website with the help of the interesting content. Why choose Aleph IT as your Social Media service company? Our experts have a high knowledge of the leading social media platforms. Our team is honest and enthusiastic enough to help your business to be successful in online world. We deliver you an updated report about the tasks we are doing and what are the impacts they bring to your social media accounts. Knowledgeable in optimising social profiles for best user experience. Free consultation about your target market. This is the process of enhancing your site to gather a higher percentage of visitors who visit your website with complete action like purchasing products or services. But if you have already generated traffic, you can simply optimise your site for more easy browsing. Due to this action, you could see a big improvement in the conversions you have. Why choose Aleph IT as your Conversation Optimisation service company? We provide in-depth analysis and study to your brand and as well as give prolific strategies to compete in online marketing. A detailed wireframe is presented to suggest improvements to your website. For improve conversation rate and smooth user experience, we always ensure to provide effective website optimisation. Aleph IT is not limited to digital marketing services only but also handle a wide range of website and application development services. We also offer web design East Perth to make your Digital Marketing East Perth services more successful. 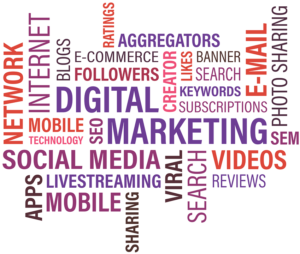 Grow your brand and increase your visibility with the leading search engines with our Digital Marketing East Perth. Contact us now for more discussion, queries, and quotes. This entry was posted in Aleph IT Services, Digital Marketing and tagged digital marketing services, digital marketing solutions, digital marketing strategy, digital marketing tools.